Becoming a parent doesn't mean you no longer have a life. If anything, your life requires you to do a lot more. In your busy life, you need to ensure that every time you go out, your precious bundle of joy is safe and secure. Initially, as a parent you want to carry your child around everywhere but with time it gets a bit hectic and requires a lot of effort. So the best thing to do is you get a stroller in which you can take your child around. It requires little effort from your end and allows your hands to be free for other things you want to do. When it comes to buying a stroller there are numerous different things you must consider. Both baby's comfort and security tend to rank highest on parent's list. Those are important but first you need to know the type of stroller you want. Like the name suggests, strollers with one seat. Traditional Strollers: the stroller tend to be heavier but are built very solid and sturdy. It is an all-purpose stroller with features you would need with a growing child. They are good for mobility and maneuver easily. Combination strollers: the stroller are great for infants as many of them can easily accommodate a car seat. They typically cost more than a traditional stroller but can be used for years from infancy to the time when you no longer need a stroller. 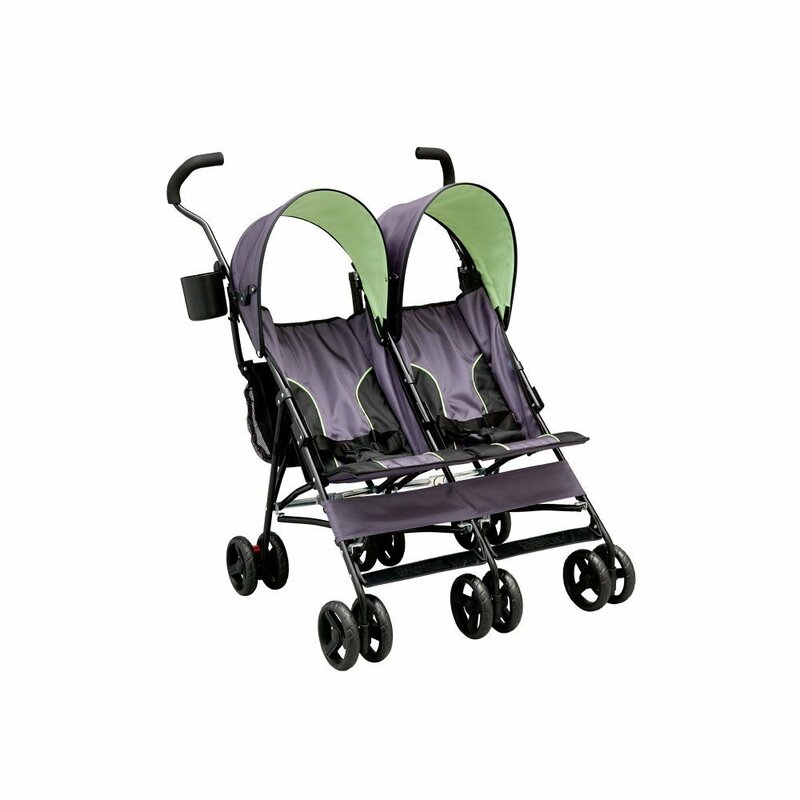 Umbrella/lightweight strollers: If you move about quite a lot then these strollers are great for you. They are lightweight, making them easy to move around, and generally sturdy. Depending on the stroller you get they may lack seat support and suspension. Car seat carrier strollers: the stroller come without a seat and are generally used for infants. All you have to do is situate the car seats on top. The frame of the stroller is generally light so easy to push around. Strollers that have double seats, to accommodate two children. Side by side strollers: the stroller has two seats side by side. It gets easy to maneuver the stroller when moving around but generally the stroller is quite wide. Tandem strollers: the stroller has one seat in front of the other so isn't too wide and can fit through the doorway. Steering with these strollers can be a bit tricky though. These strollers are great if you enjoy jogging. They have tires that come with a swivel and can change direction while the tires are generally bigger in size so they can easily adapt to rougher terrains. Type of harness for safety: Most strollers come with a 5 point harness which provides exceptional safety. It really buckles the child down so no matter how bumpy the road is, they will stay inside the stroller. Some harnesses come with padding while some don’t so you may want to consider getting a stroller that has padded harness for comfort. Weight of the stroller: Typically the more a stroller weighs the sturdier it is. However, as lighter building material has become stronger, you can now find lightweight strollers that are sturdy enough to last you years while also hold a child up to 50-70 lbs. So to make it easier for you to move about, lighter stroller are much better. Ease of use - is it foldable: Traditional strollers were not foldable. Now with lightweight, innovative designs you find a wide variety of strollers that are foldable. Not only does this make storage easier but also carrying the stroller from one place to the other when not in use. Seat comfort level: As strollers are becoming lighter, manufacturers are doing away with seats that are well padded. That doesn’t mean lighter strollers aren’t comfortable. However, if you prefer your child has a comfortable, padded seat then you may consider getting a heavier stroller. Cost: You can’t really put a price on your child’s safety and comfort. However, that doesn’t mean you spend hundreds of dollars on a stroller when you can find one that offers the same functions at a lower price. You should set a budget and look within it. There are hundreds of different stroller manufacturer you can consider and at different price point. Keeping these aspects in mind, we have tested and ranked the best of the best strollers in the market today. When it comes to single strollers, you will find many different variations. In fact, single strollers are the most common strollers you can find. We have ranked the five best single strollers you can find. The category of single stroller is vast and therefore we have left out jogging strollers since we will be ranking them separately. Summer Infant has made the 3Dlite a convenient and easy to use stroller. It is the stroller you want for everyday use and is perfect for parents that are constantly on the move. 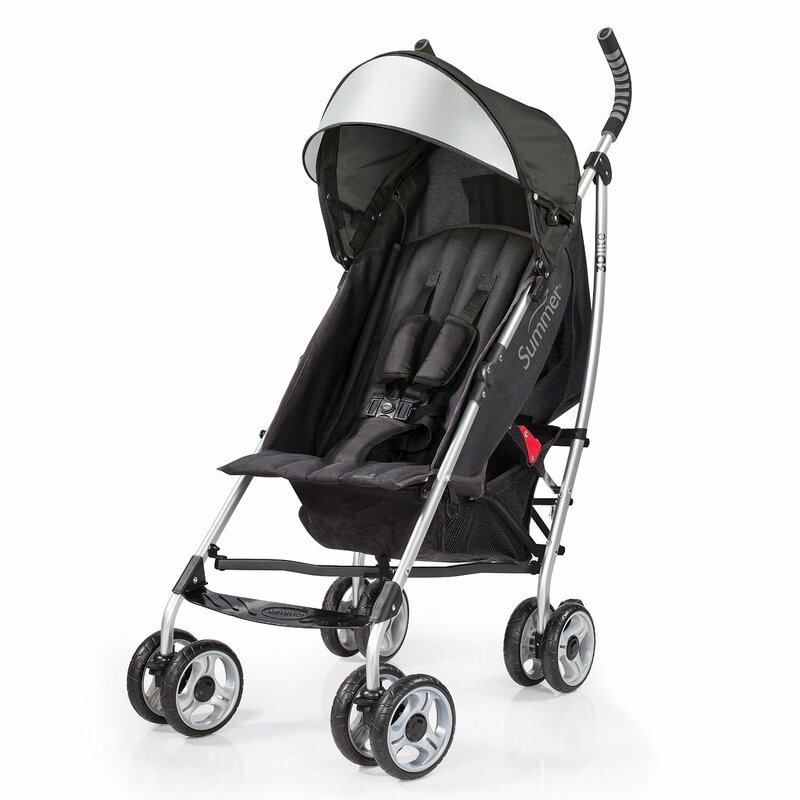 The stroller has a lightweight aluminium frame which makes it easy to move at just 13 lbs. On the move, you will be carrying quite a few things and the large storage basket at the bottom provides you with enough space to easily put bags and anything else you are carrying. To ensure safety and comfort, the stroller comes with a 5 point harness with shoulder pads. Unlike most single strollers, your child has plenty seating room as the stroller has spacious seats. One thing you can’t hide from on a day out is the sun. Keeping that in mind, the 3Dlite comes with a canopy that ensures your child doesn’t get sunburned on your day out in the city. It also has a cup holder so water or juice can easily be accessible to your child when they need. As far as the wheels go, they aren’t the best but get the work done. The rear wheels come with a lock so you can lock them when you feel the need so the stroller doesn’t run off on its own. All the features make this a wonderful stroller, it is named 3Dlite convenience for a reason. Graco is a common household name for homes with children. The LiteRider is a wonderful stroller for infants as it can easily accommodate Graco’s Click Connect infant car seats. All you have to do is fit the car seat on top until you hear a click and that is all. The stroller is fairly light at 20 lbs. which makes it easy to push around. It is quite sturdy and can hold a child of up to 40 lbs. 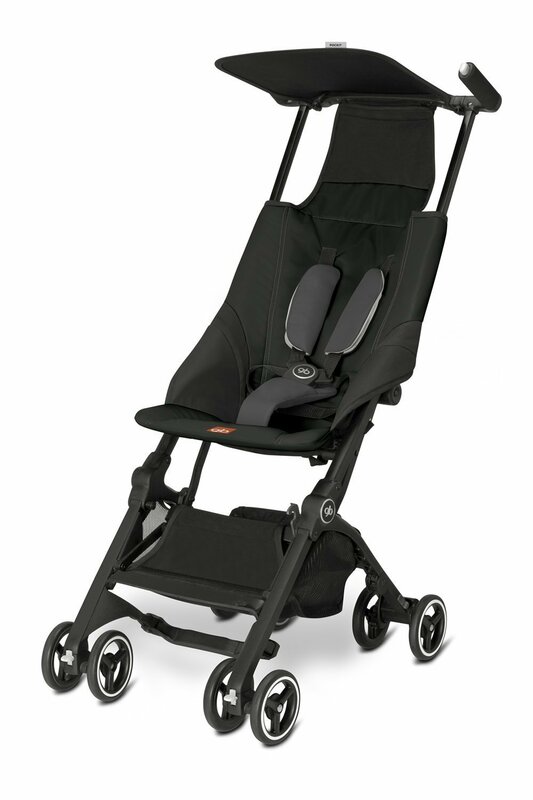 The seats on the stroller are well padded, soft and has multiple recline positions so your child can easily relax. When it comes to mobility the front tires have a swivel that should allow for easy maneuvering. However, we had some trouble in crowded situations, the wheels tend to get stuck from time to time. For your convenience, the stroller comes with a tray for you and your child so you can easily organize things when on the run. The Graco LiteRider is a wonderful stroller for on the go mothers, it is slightly bulkier but provides exceptional comfort for your child. If you have a limited budget and are looking for a decent stroller for your child then the Baby Trend Rocket is the perfect match for you. The lightweight stroller weighs just under 13 lbs. so you know it is easy to take with you wherever you go. It folds in a snap and can easily be stored in the trunk of your car. To protect your child from falling out, the stroller comes with a secure 5 point harness. The rear wheels have a lock so when parked, it stays in one place. At the price point, you can’t really expect much but the Baby Trend Rocket delivers. It has a large canopy that is sure to protect your child from sun rays. The only issue we had with it was the fact that the handles were not as comfortable as we liked. However, for the price you get just about as much as the other strollers on the list that are slightly more expensive. So why not give the Baby Trend Rocket a try. If you are looking for a compact, lightweight stroller then the GB Pockit is the stroller for you. Weighing just 11 lbs. this is the lightest stroller on the list and the smallest also, once folded. It holds the record for the most compact stroller once folded. It may be small but it is quite durable, it is designed to hold a child up to 55 lbs., that no joke. It has a 5 point harness system with amazingly comfortable shoulder pads. The seats are also the most comfortable seats out of all the strollers on this list. One thing that we did not quite like is the fact that the stroller has no child tray in the front. This means you will have to carry the water or juice bottle with yourself as there is no cup holder. It is also more expensive than the other strollers on our list but being compact and so lightweight, we had to have it on the list. The Kolcraft Cloud Plus is a traditional looking stroller that is slightly more compact. Weighing just 12 lbs. it is fairly light and not at all bulky like traditional strollers. Being so lightweight, you would think the stroller is not that sturdy but it is. It can hold a child of up to 50 lbs. It is easy to fold, you can do it with just one hand. Once folded it easily stands and doesn’t roll off. 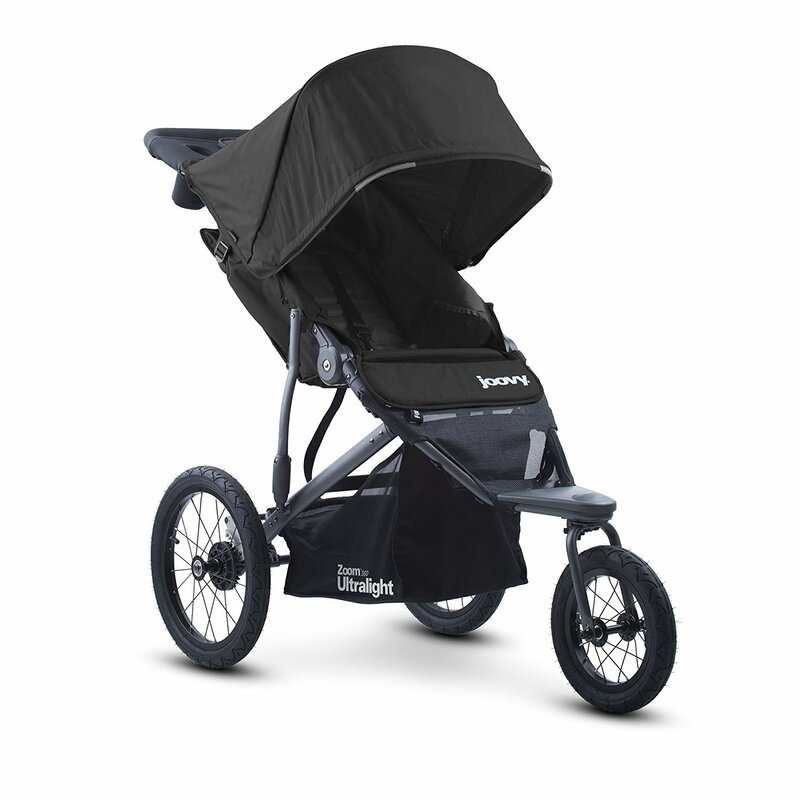 To protect your child from the UV rays, the stroller comes with a big canopy. Not only that, for your ease there is a storage basket at the bottom of the stroller so you can easily put away stuff you want as you move about. You can’t really go wrong with the Cloud Plus, it is a lightweight stroller that offers you everything a big bulky stroller does. Except it isn’t a burden to take around as it is easy to push and store. So if you are a fan of traditional strollers then you should definitely give this one a try. That ends our list of the best traditional single strollers you can buy. Most of them are reasonable priced under $100 with the exception of Pockit which is over $100. So cost shouldn’t be much of an issue. So depending on the functionalities and weight of the stroller, you can decide which is the best fit for you. Going out with one child is hard enough, it gets twice as hard with two. Lucky for us, strollers manufacturers have made it easier with double strollers that allow you to seat two children in the stroller. These tend to be bulkier than single stroller due to the fact that the stroller has two seats but still manufacturers have made them fairly light and easy to manage. When buying a double stroller you need to decide whether you want the seats side by side or one in front of the other. 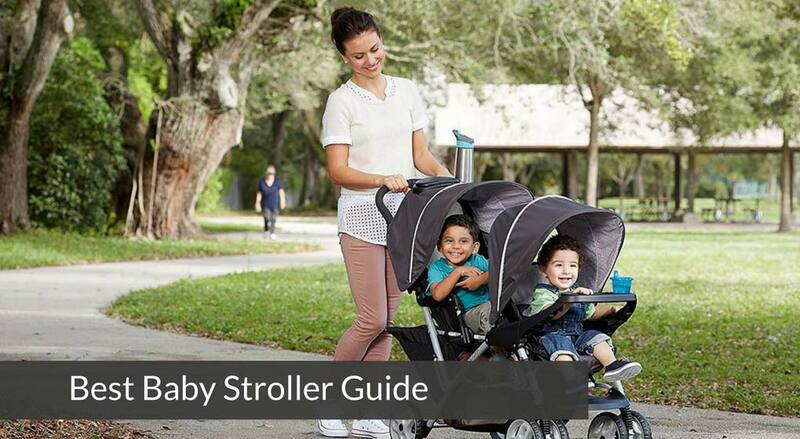 We have ranked the 3 best double strollers for you that will help you decide which is the best fit for you. Sturdy design, each seat can hold a child up to 40 lbs. Graco has become one of the most trusted brand for baby and child products. The Graco DuoGlider lives up to the standard and name Graco has established for itself. If you have a growing family and need a stroller this is it. You can easily fit two children in it as the stroller has one seat in front of the other. The rear seat is slightly lifted so that the child sitting in the back can easily see. The stroller has a traditional design and is built well, each seat can hold a child up to 40 lbs. When it comes to double strollers that have one seat in front of the other, reclining tends to be a problem. However, in the DuoGlider there is enough space behind the front seat which allows the child in the front to recline back. Both the seats have a large canopy to protect the children from the rays of the sun. The Graco DuoGlider is a top of the line double stroller that is durable and allows ease and comfort for your children and you. Sturdy design, each seat can hold a child up to 45 lbs. Slightly heavy at 32 lbs. Side by side seating strollers are generally easier to maneuver than strollers that have seats one in front of the other. The downside is they are quite wide. The Joovy Scooter X2 is definitely easy to maneuver however not that wide at all. It can easily fit through a doorway of 30” width. The wheels on the stroller really make it stand out. 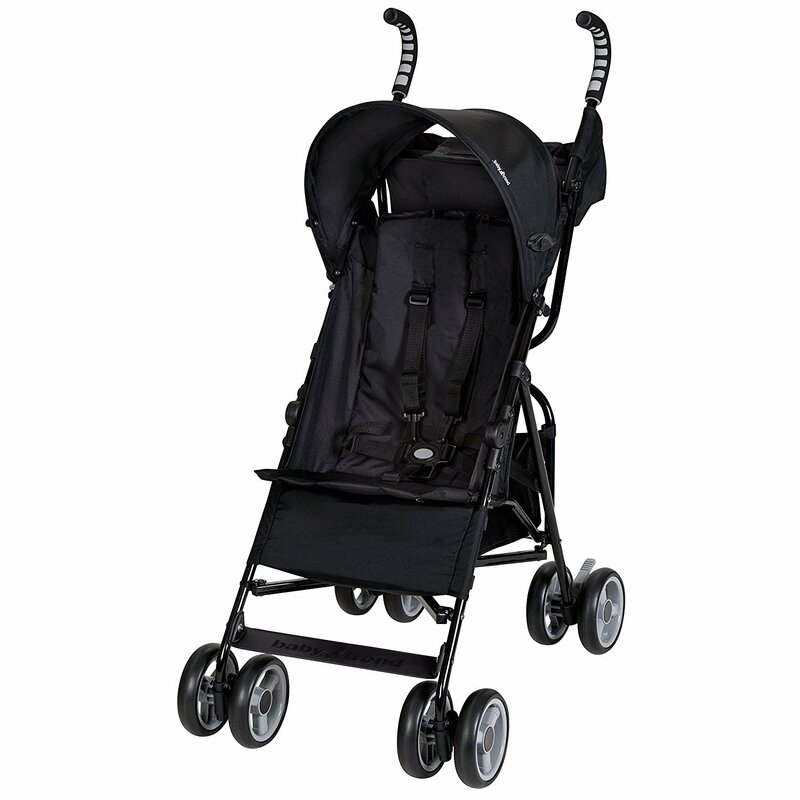 Unlike many traditional strollers that have front and rear tires of the same size. The Scooter X2 has 7” front tires and 9.5” rear tires which give it great road grip and allow for easy maneuvering. The seats on the Scooter X2 are well cushioned and allow your children to sit comfortably. When not in use, you can easily fold the Scooter X2 and store. At 32 lbs. it is slightly heavy but that does not mean it is a task pushing it around. The Scooter X2 is a great built stroller which is quite stylish too as it comes in 5 stylish coolers. At first look, the Delta Children LX looks like a fairly basic stroller. Yes, the seats on it aren’t as padded as the Scooter X2 but that doesn’t take much away from this stroller. This low cost side by side stroller provides parents with all the functionalities they can ask for in a stroller. Not only does it allow you to stroll with two children at once, it offers multi-position reclining, two large canopy, and wheels on a swivel. The stroller is easy to manage as it folds with just one hand. The fact that it weighs just 19 lbs. make it quite a compact and easy to manage stroller. Don’t be fooled by the low price. The Delta Children LX stroller has all the features you could ask for in a stroller. You can expect that from Delta Children which have been making affordable products for families for years now. When getting a double stroller, you want to make sure that both the children have the same amount of comfort. Being a double stroller, you also want to ensure that you can easily move it around. The fact that there are two seats shouldn’t make it feel like you are pushing two strollers. The three double strollers we have rated ensure just that and provide ease to you, so much so that you probably will forget that you are pushing around a double stroller. Don’t let having a child stop your healthy lifestyle. In reality, you probably need a healthy lifestyle now more than ever. You can do just that with the help of jogger strollers. These strollers are designed keeping active parents in mind. They have bigger wheels and tires with ridges so they can easily be used on rougher tracks. Making them perfect for jogging tracks. After testing a wide variety of jogger strollers, we have selected the top 3 for you to choose from. Slightly heavy compared to other strollers on the list at 30 lbs. Graco has become a household name for homes with children. The company has been making baby products for decades. The Graco Fastaction Fold Jogger is a wonderful Jogger stroller for the bumpiest of terrains. 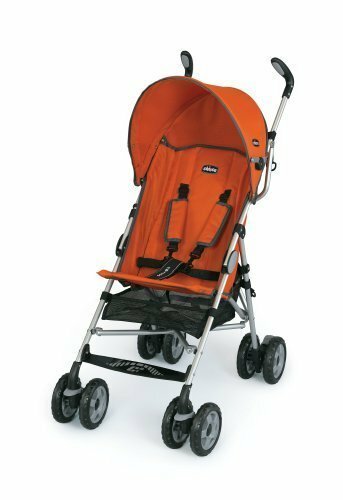 The big tires on the stroller make it more stable on tracks and trails so this is a great stroller for those that usually jog or stroll on different terrains. It is slightly on the heavy side compared to other strollers on the list at 30 lbs. but that is still quite light. Overall, the Graco Fastaction Fold Jogger stroller provides your child with comfort and allows you to roam around wherever you please. Great build, supports up to 75 lbs. 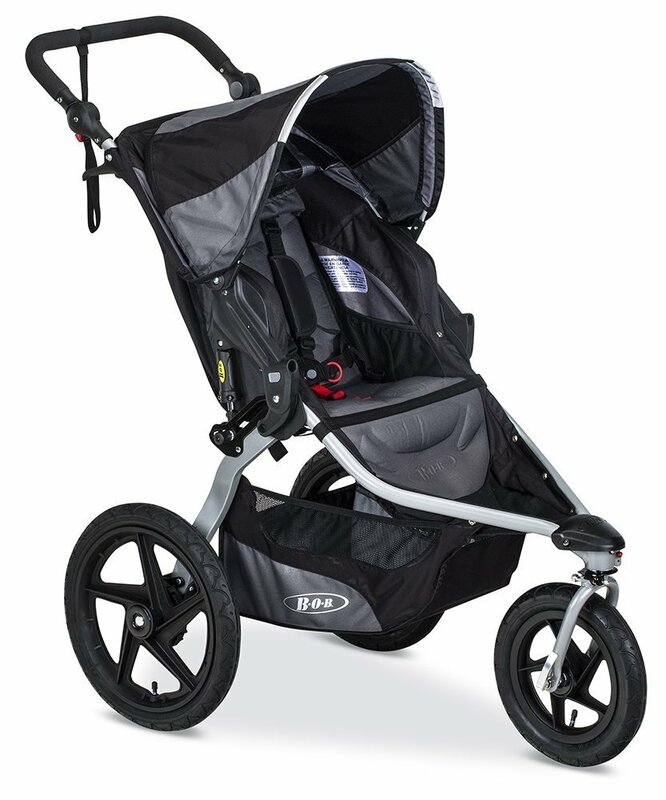 BOB 2016 Revolution FLEX Stroller is one of the most versatile strollers in the market today. 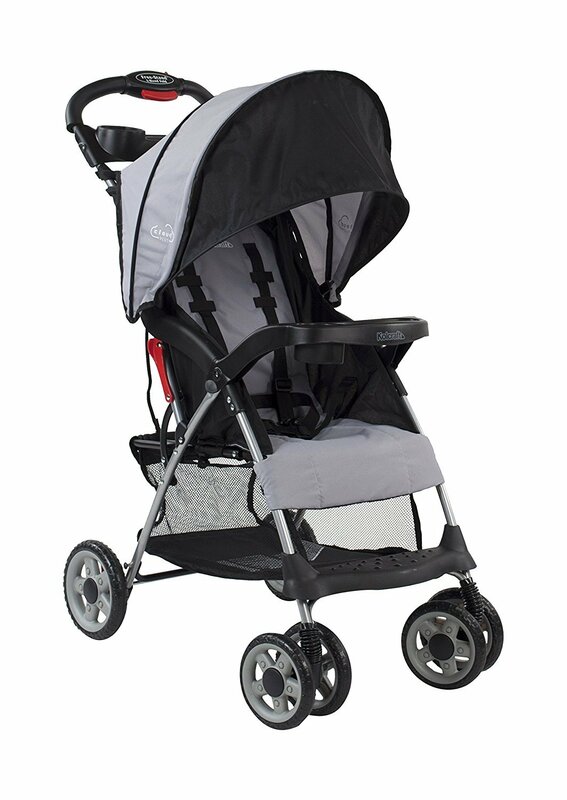 From big tires to adjustable handle, this stroller provides great ease to you and your child. The big tires make it a wonderful stroller for any terrain and they have a swivel so they can easily be maneuvered as you please. The handles can be adjusted based on your height so you can set them to the position that is most comfortable for you. The stroller is quite durable and well constructed, it can support a child up to 75 lbs. Overall, if you have the budget, this is probably the best stroller on the list for you. If it was priced more reasonably it would have easily been ranked number 1 on the list. Functionality and ease of use wise this is the best. Durable design can hold a child up to 75 lbs. 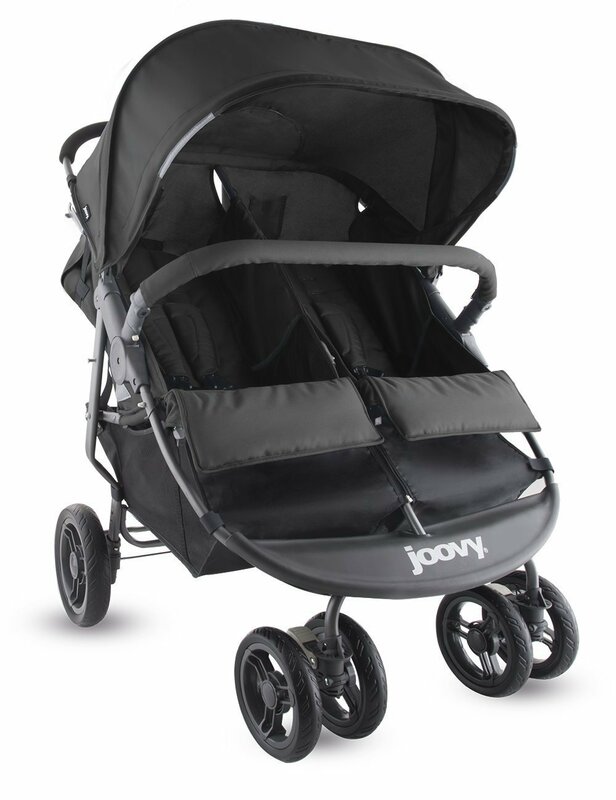 If you love to jog on tracks then the Joovy Zoom 360 Ultralight Jogging Stroller is perfect with 16 inches back tires and 12 inches front tires. The stroller isn't that heavy at 25 lbs. so it makes jogging with it an easy task. The stroller is quite durable and has comfortable seats, it can easily hold a child up to 75 lbs. It is quite compact and easy to fold and take with you. Overall, the Zoom 360 Ultralight Is great for moving out and about. The big wheels make it perfect for jogging tracks and even trails. You can no longer use your child as an excuse for skipping your jogging session. Taking your child out for a jog in one of the above stroller not only allows you to be active but also gets your child involved in your active lifestyle from a young age. So no more excuses, get active today and take your child with you. Umbrella strollers are the lightest strollers in the market and are easy to fold. They maybe light but offer great functionalities and are quite durable. Some of these are even the best ﻿umbrella﻿ strollers for travel as well. Most of them employ an aluminum body to ensure the lightweight. These strollers are great for parents that are constantly on the run and want something light and easy to travel with. Here are our picks for the 3 best umbrella strollers. When it comes to travel strollers, the first thing you look at is how light the stroller is. At just 13 lbs. the Summer Infant 3Dlite Convenience Stroller is the perfect companion for you while you travel with your child. The frame is made of aluminium which allows the stroller to be lightweight while also provide durability. It is compact, easy to fold which makes storage a breeze. To provide protection to your child, it has a canopy that protects them from rain and UV rays. The 5 point harness ensures that your child is safely seated at all time as you stroll around town. To ensure comfort, the stroller allows your child to recline back so on longer trips out they can easily nap when needed. There is also a storage space at the bottom of the stroller for you to easily tuck away items for the day out. Overall, if you want a stroller that will be a great companion for you while to travel. It’s lightweight, compact, and provides comfort and protection for your child. The Baby Jogger 2016 City Mini 3W Single Stroller is probably the top of the list when it comes to comfort, protection, and mobility. However, the 3Dlite just edged it out due to its lower cost and light body frame. However, the Baby Jogger 2016 City Mini 3W Single Stroller is a top of the line stroller that allows you mobility and exceptional control. 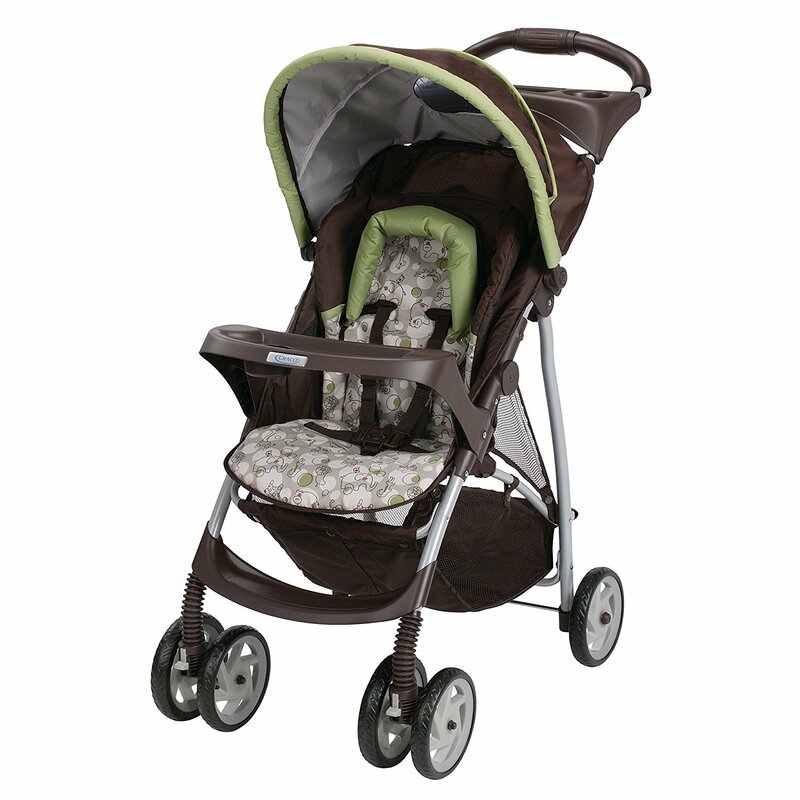 It is the sturdiest of the three strollers as it can withstand weight up to 50 lbs. It's quite lightweight also at 17.6 lbs, making it perfect for a day out in the city. The stroller comes with a decent sized canopy that protects the child from the sun. The harness are well padded so your child should have no discomfort when they sit in the stroller. 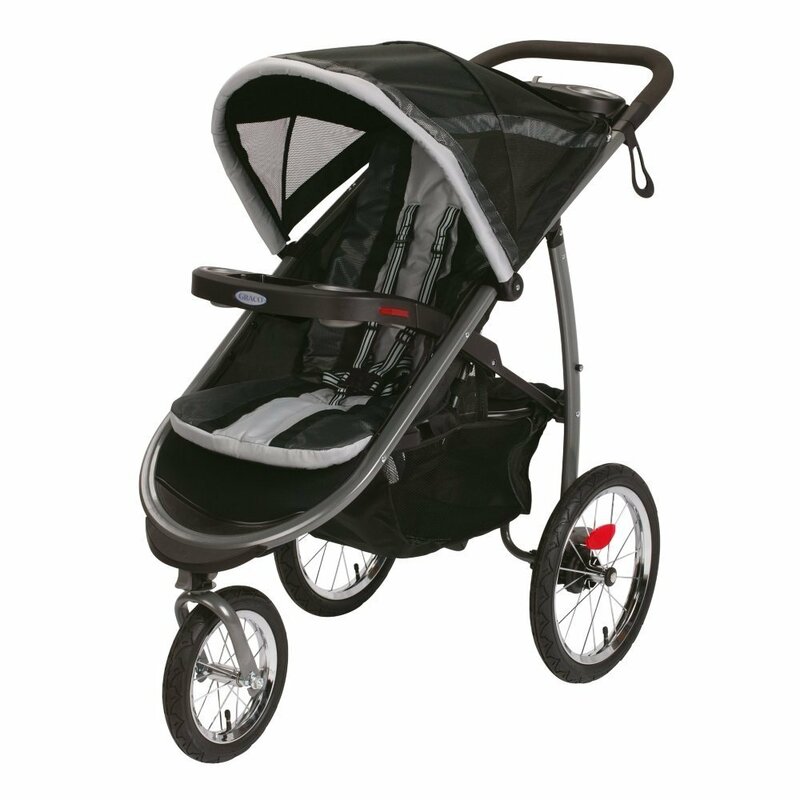 The wheels are pretty big with ridges so you can use the stroller on any terrain. Overall, if you have the budget then we would recommend you go with the Baby Jogger 2016 City Mini 3W Single Stroller. It not only makes traveling with a child easy but also provides them exceptional comfort and protection. 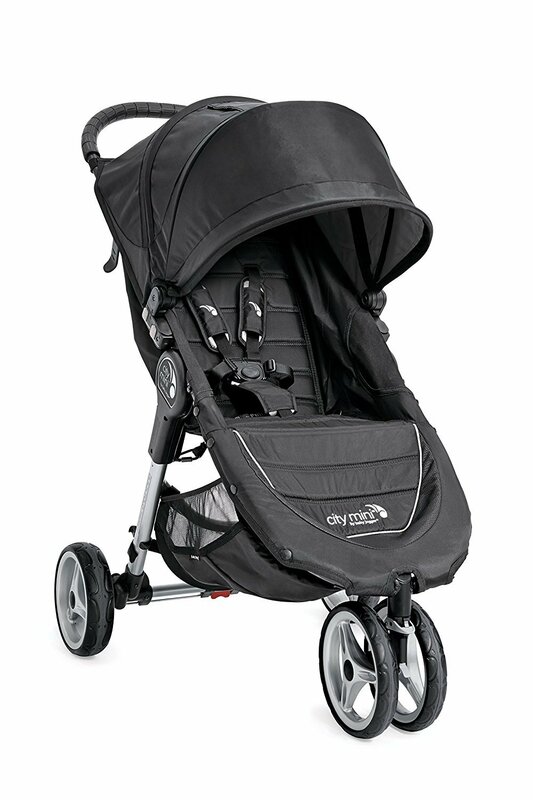 The Chicco Capri Lightweight Stroller is another lightweight stroller at just 11 lbs. Similar to the 3Dlite, this stroller has an aluminium body which makes it pretty sturdy. To provide some comfort to the child, it has a 2 point recline. To help you during travel, the stroller comes with an umbrella style fold so you can easily fold it when not in use and fit it in the trunk of your car. If you decide to shop while you are out, you don’t need to worry about carrying your bags around. You can safely put them away in the basket at the bottom of the stroller. When it comes to umbrella strollers, you want to ensure the stroller is easy for you to travel with. 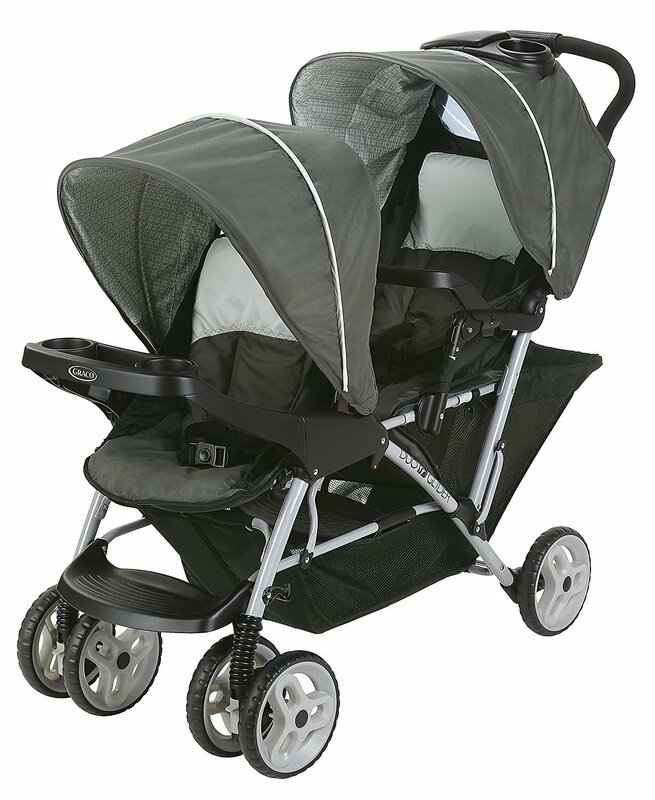 All three strollers on our list do just that, making them the best umbrella strollers in the market. Get a stroller with brakes: when you have your stroller in park, it is important to have the brakes on so the stroller doesn’t roll away. Wide base strollers: if you aren’t careful with strollers, they can tip over. The wider the base of the stroller the less likely it will tip over. Use the harness at all times: Most strollers come with a 5 point harness and it is important your child is buckled in at all times in the stroller. Don’t hang bags on the handle: Heavy bags may cause the stroller to tip over if you hang them on the handles. So make sure not hang any bags from the handle. Keep it away from the sun: It is important you store the stroller away from the sun when not in use. Otherwise the sun may cause plastic material to melt or even make metal parts hot which will end up burning your child. When buying a stroller, make sure it is certified and always do some research beforehand. From time to time there are recalls on strollers so it is important you check and even after purchasing you follow up to see there is no recall on the stroller you purchase. The stroller you get is important so you need to make sure you get one that puts your child’s safety first. So shop smart when buying your child’s stroller.